That would probably work and you wouldn't get any comments from the peanut gallery for using the baby sipper lid. 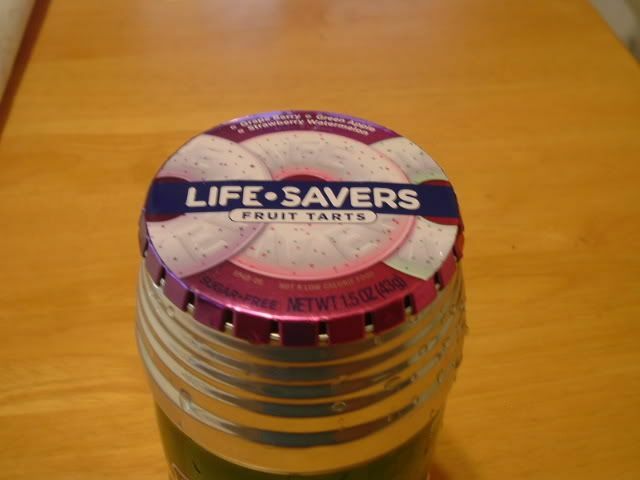 The lid is dual purpose, I like that!!!!! Good one Dan!!!!! 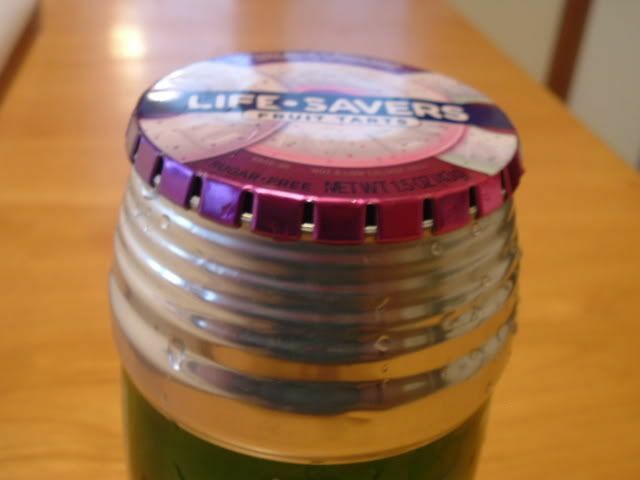 Take a look to see what John over atBACKPACKINGLIGHT did with a v8 can. It works with a heineken pot. In addition to that I flipped my Heiny. 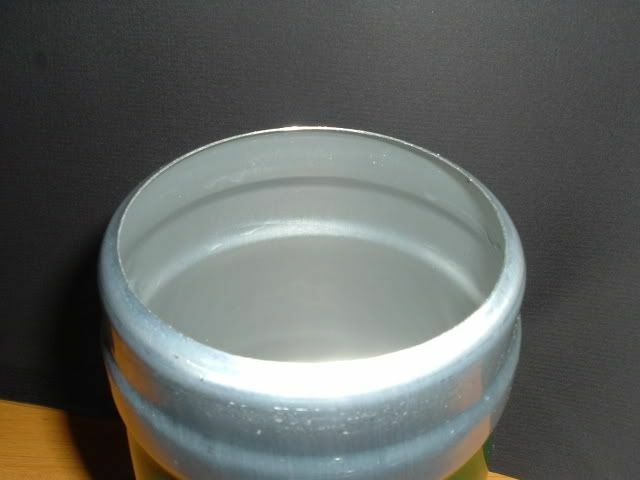 I've always disliked the curvature of the bottom of the heineken pot. When I made the cobalt to fit a Heinekin I went through the same hassel of the curved bottom. While making the stove to fit the heiny I got the idea to turn the can upside down and use the flat top of the can as the bottom. Here is what I came up with. 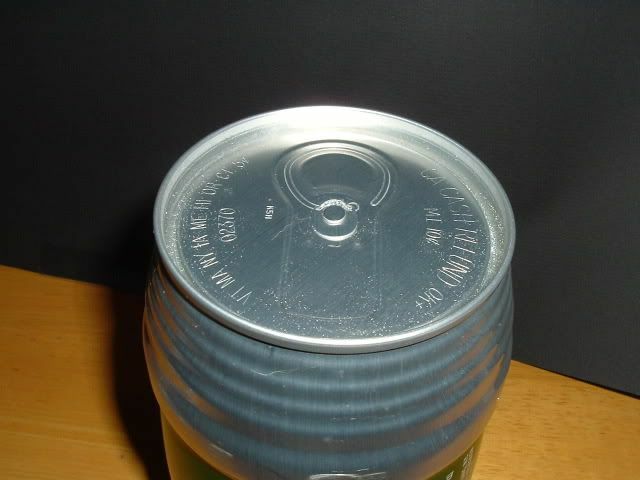 zelph wrote: Take a look to see what John over atBACKPACKINGLIGHT did with a v8 can. That v8 stove i did it also but it also work on a jet boil just play with the add on pot stand up or down. Has anyone here made a caldera Cone for the Heiney Pots? 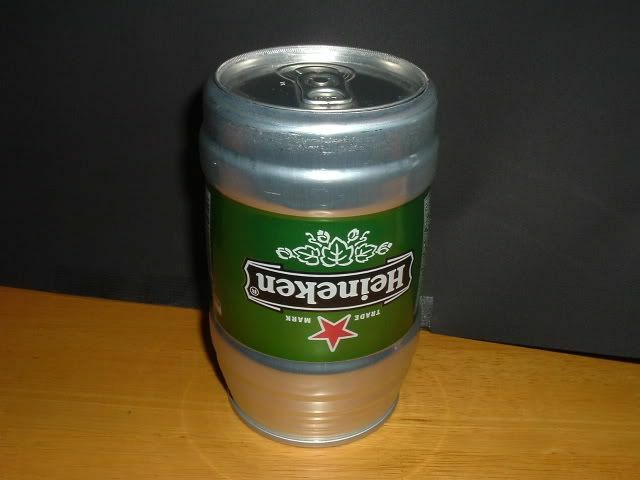 rigidpsycho wrote: Has anyone here made a caldera Cone for the Heiney Pots? I have not but wanted to pass on this link that was recently given by Papa John on how to build a caldera cone. It's a video. zelph wrote: Holy Moly. The lid is fantastic so far. I filled it with water and tipped it over and only a small amount came out. The lid is vented all around it's perimeter. Holy Moly!!!! What a find. Now to test it under boiling water. Holy Moly, that deserves a free stove, send me your address in a PM. Allen don't go outside. Front brake pads have asbestos in them and truck brake pads even more. Every time breaks are put on a little asbestos goes into the air. And for sure don't eat the mints. I had to quote this comment and say "thanks Iceage" for this lid for the heineken. If they can still be found, get some. I was searhing this thread to read all about the fiberglass wick wrapped around the pot so you can pick it up once the water comes to a boil. There is a video that I made and posted on photobucket (the link is broken and cant' view it.) It shows there is no way I could pick it up by holding onto the wick covered area. I started a thread over on whiteblaze and found no one thatwas convincing that the wick actually works. Oops wrapped his with 3/16ths wick and then reverted to using a bail wrapped with fiberglass. I know many people have wrapped their cans with wick and many have been bought pre wrapped by what's his name. Anyone out there want to come in and say the wick wrapping does not work? In regards to the wick wrapping, in my opinion, does not work well for me. It insulates enough to take the pot off the stove without burning my fingers, but I could not pour the water into a freezer bad or another pot without it getting to uncomfortable to hold and risking dropping the can of hot water. I cut a strip of Reflectix and just keep it with my cook kit, or use a bandana or the like. This works better for my. I actually removed the wick wrap from one pot I bought and will use it on a stove or something. ashman45 wrote: In regards to the wick wrapping, in my opinion, does not work well for me. It insulates enough to take the pot off the stove without burning my fingers, but I could not pour the water into a freezer bad or another pot without it getting to uncomfortable to hold and risking dropping the can of hot water. I cut a strip of Reflectix and just keep it with my cook kit, or use a bandana or the like. This works better for my. I actually removed the wick wrap from one pot I bought and will use it on a stove or something. Thank you for your comment. You are the first to come up and say the wick doesn't work for you either. I have been experimenting with a means of picking up the pot with a light weight material and will introduce it as soon as I get caught up on stuff.